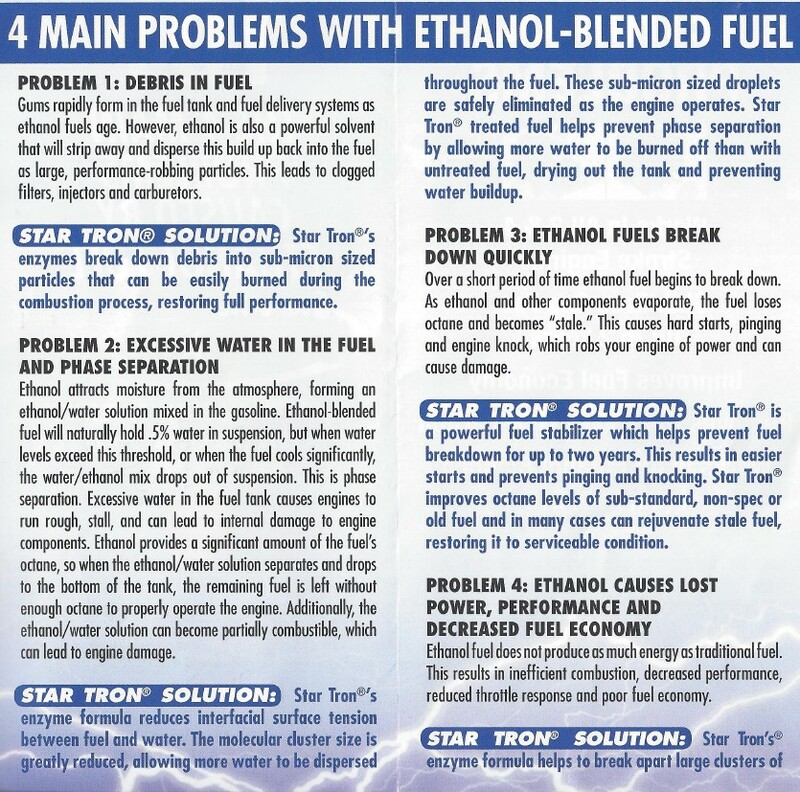 the Ethanol Problem. 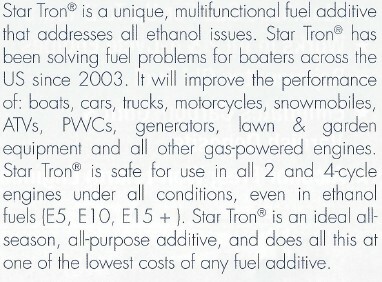 Recently we heard that our gas ( by the help of our government) will contain up to 15% Ethanol. YUK!!!! This means if you park your Motorcycle, ATV, Jet Ski, Go Kart, ETC. For longer than 3 to 4 weeks, FUNNY LITTLE things start to GROW in your Carburetors & fuel systems. This you may already know. This means we sell more carb rebuilding kits, needle valves. 1. Drain your carbs completely and blow them dry. 3.We will sell you more parts for your carburetors. "To us this is not a joke."